The ability to recover from a fall is an essential feature for a legged robot to navigate in challenging environments robustly. Until today, there has been very little progress on this topic. Current solutions mostly build upon (heuristically) predefined trajectories, resulting in unnatural behaviors and requiring considerable effort in engineering system-specific components. 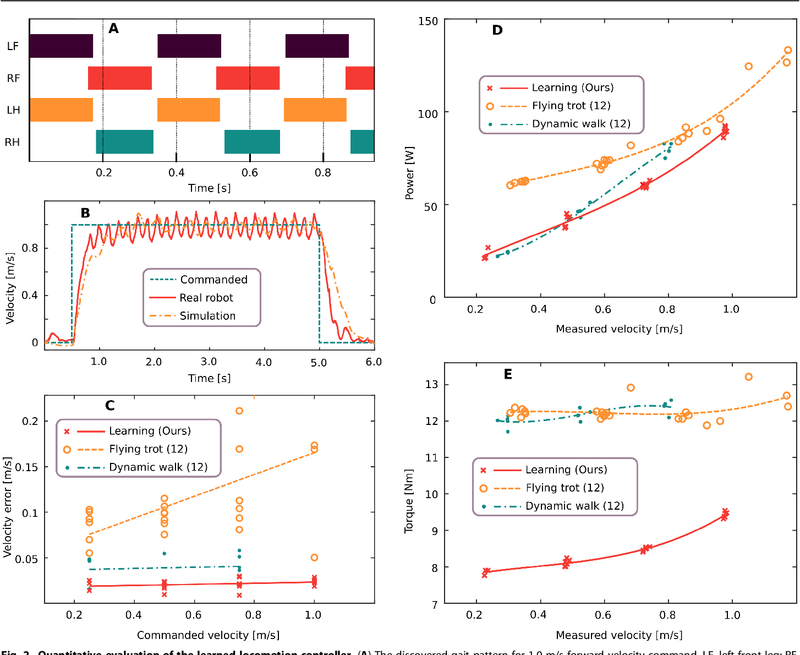 In this paper, we present an approach based on model-free Deep Reinforcement Learning (RL) to control recovery maneuvers of quadrupedal robots using a hierarchical behavior-based controller. 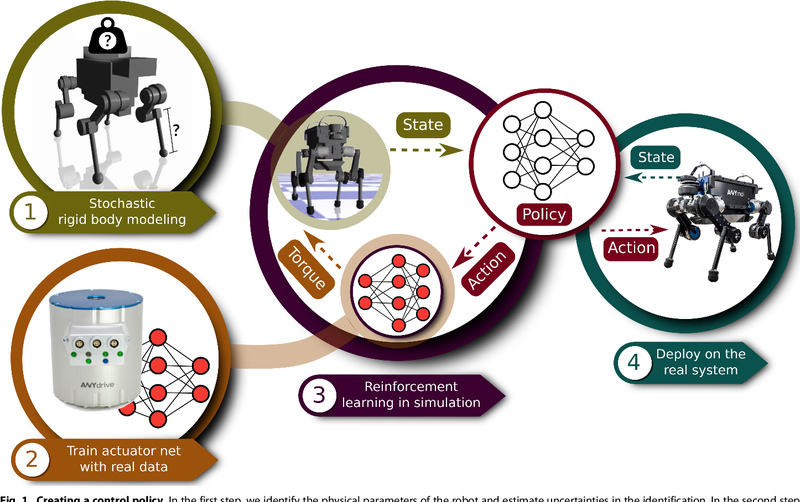 The controller consists of four neural network policies including three behaviors and one behavior selector to coordinate them. Each of them is trained individually in simulation and deployed directly on a real system. 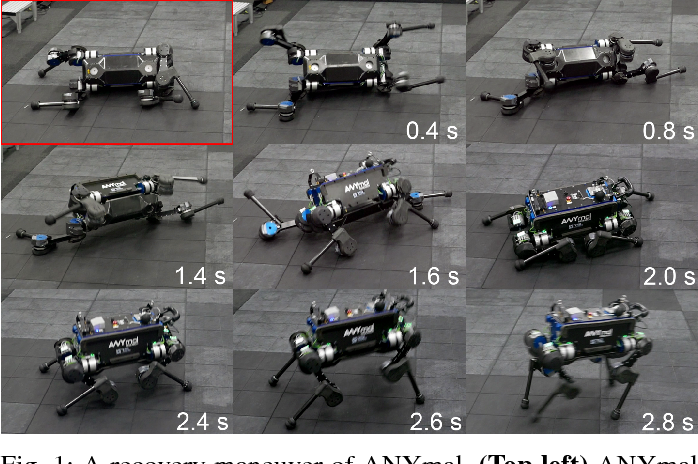 We experimentally validate our approach on the quadrupedal robot ANYmal, which is a dog-sized quadrupedal system with 12 degrees of freedom. With our method, ANYmal manifests dynamic and reactive recovery behaviors to recover from an arbitrary fall configuration within less than 5 seconds. We tested the recovery maneuver more than 100 times, and the success rate was higher than 97 %.